A web-based program clinically proven to increase language, reading & social skills for people with Autism, Down syndrome, Speech Delay, Stroke & others. He learned all 28 animal names in 3 days! He loves the videos and I think that he could learn as many as we show him. My son was completely non-verbal and 10 years old when we started Gemiini... Over 2 years later he said his first word and now (3 years) he can repeat almost anything! He is requesting and starting to use sentences! When I think about what we would have missed if we had quit too soon, it brings tears to my eyes. The only way to fail, is to stop using it. My son is 27 and continues to make gains using the program on average of one hour per day. He loves it and is highly motivated in doing the program, he reminds me every weekend that he will start again on Monday. He does the program Monday thru Friday taking the weekends off. As a mom of an older child with special needs that has tried many therapies over the years- I would say this and occupational therapy have done more for my son than anything. Just remember not to expect instant results, for most it takes time and consistency. Don't be discouraged, I believe you will see some benefits for your child in due time, every child is unique and the timetable will not be the same for everyone. Works on any computer, tablet, or smartphone. It's an online speech therapy program that uses an approach called "Discrete Video Modeling." Discrete Video Modeling is a clinically proven way to increase language, reading and social skills. It breaks down information into understandable and digestible bites, making it an ideal solution for people with Autism, Down syndrome, Speech Delay, and others. Stay up-to-date with the latest Gemiini news, events, and blog posts. See Gemiini on MSNBC, CBS, ABC and CNN to learn more about the program. Join the thousands of families across the world who are using Gemiini with amazing results. Is GemIIni Right for You? Our monthly payment options makes Gemiini available to as many people as possible. Money should never be a barrier to receiving the tools you need. At Gemiini, we offer a number of scholarship options for families in need. 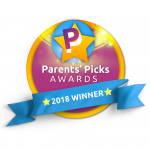 Gemiini has been chosen as one of 2018's Best Educational Products for Preschoolers by Parents' Picks Awards! 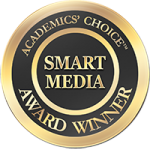 Gemiini is a winner of the Academics’ Choice 2017 Award in the Smart Media category. The Academics' Choice Advisory Board consists of leading thinkers and graduates from Princeton, Harvard, George Washington University, and other reputable educational institutions.